One of the best things about being a member of the Northwest Lexus Family is spending so much time around all the beautiful Lexus in our facility. Alas, not everyone has the luxury of having the option to completely surround themselves with the newest F-Sport models at any given moment. The good news is that there’s plenty of Lexus to be found online. Ok, so you can’t take one on a test drive online, but you can do the next best thing: Like all the drool worthy photos on the best Lexus Instagram accounts online, ranked here for your double-tapping pleasure. All F-Sport, all the time. A collection of many, many gorgeous Lexus and their drivers, from all over the world. An Ontario-born Lexus enthusiast account (and site), with a balance of track, travel and detail shots. 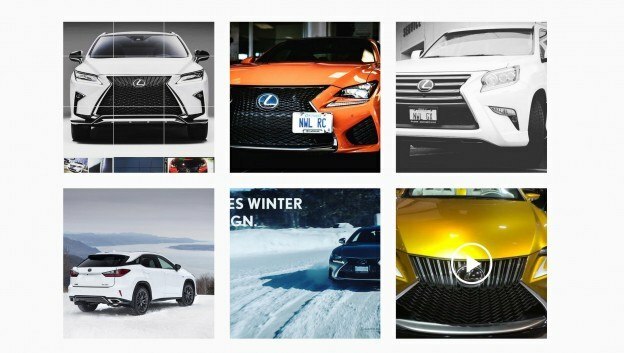 Lexus Canada’s official account. It’s your patriotic duty to follow them, but it will feel like pure pleasure. Ok, so we may be slightly bias, but we think we’re worth the rank. Where else are you going to get raw, winter-eating Lexus footage like this other than yours truly? Follow us and we promise to bring you lots more.